In 2011 Carriots S.L. was incorporated in Spain, to focus on the development of its Platform as a Service solution to build Internet of Things solutions. Carriots main shareholders are its managers and Wairbut Group. Their headquarters are in Madrid. 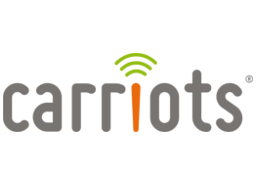 Carriots is the spin-off of Wairbut's M2M division, a company that has over 10 years experience in engineering IT solutions for large international companies. Prior to founding Carriots, the division expertise in M2M was backed up by engineering contracts with industry leaders like Telefónica Group or Vodafone Group to deliver end-to-end solutions or consultancy services.